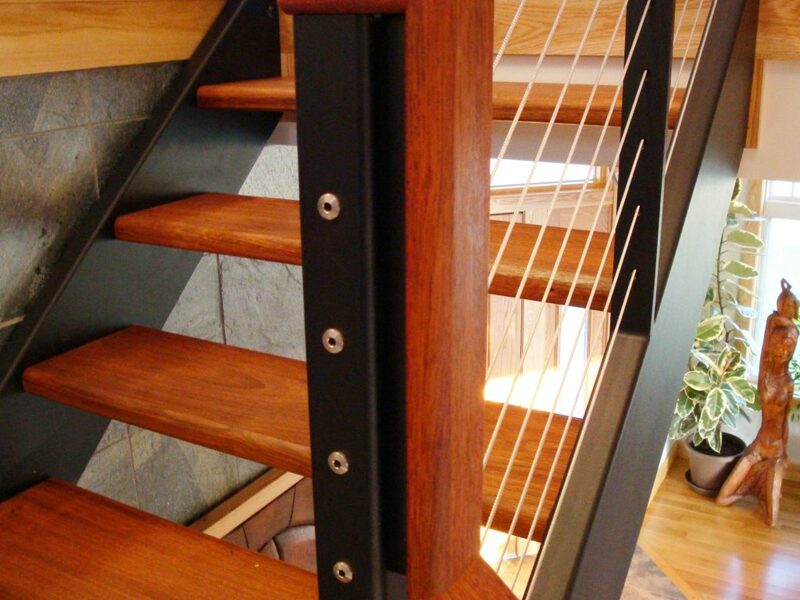 Material and Finish: "Raven Black" powder-coated steel posts with Brazilian cherry wood top rail. 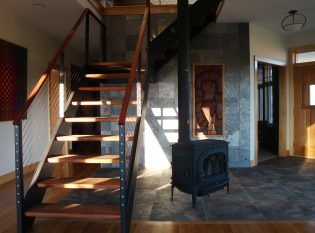 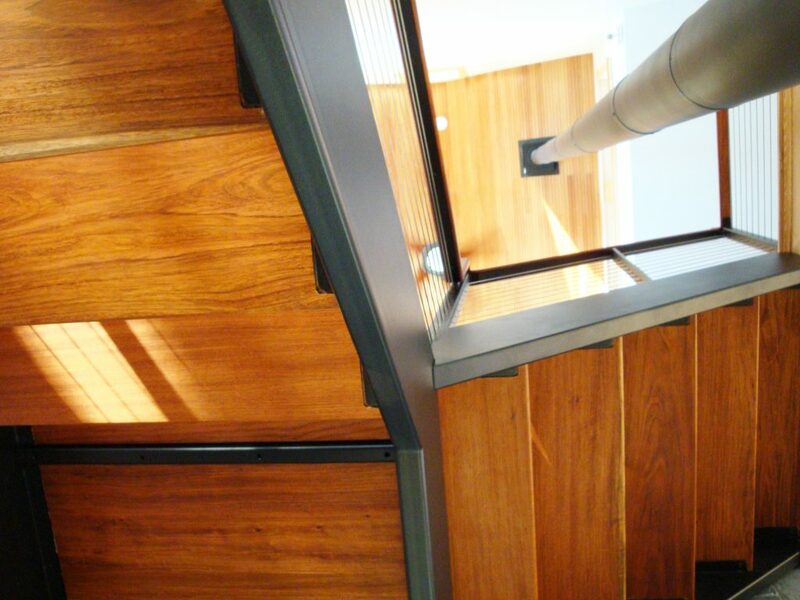 Our clients in Ithaca, New York wanted a modern open-riser staircase to liven their home’s interior. We custom designed and fabricated an L-shaped steel staircase with double closed stringers and wood treads. 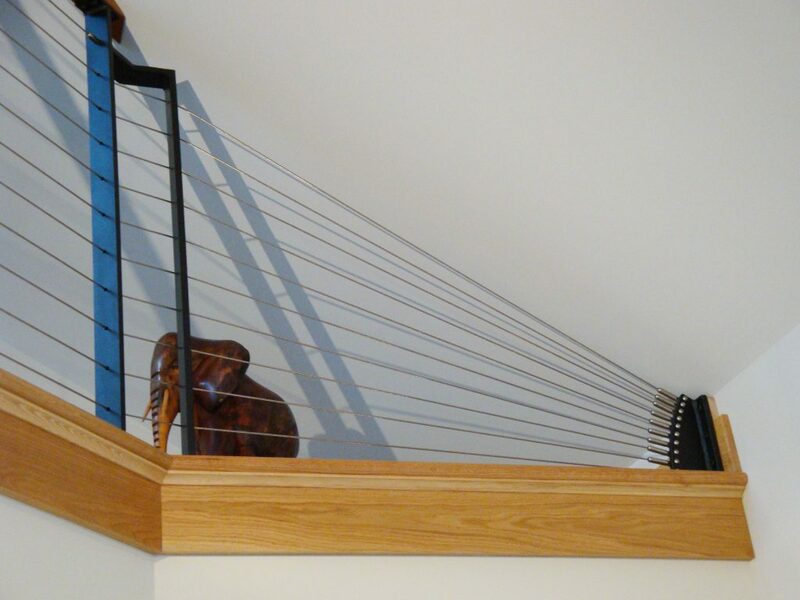 To create a clean, simple look, we hid the staircase mounting plates inside the rectangular tubing creating the illusion that the stringers die into the flooring. 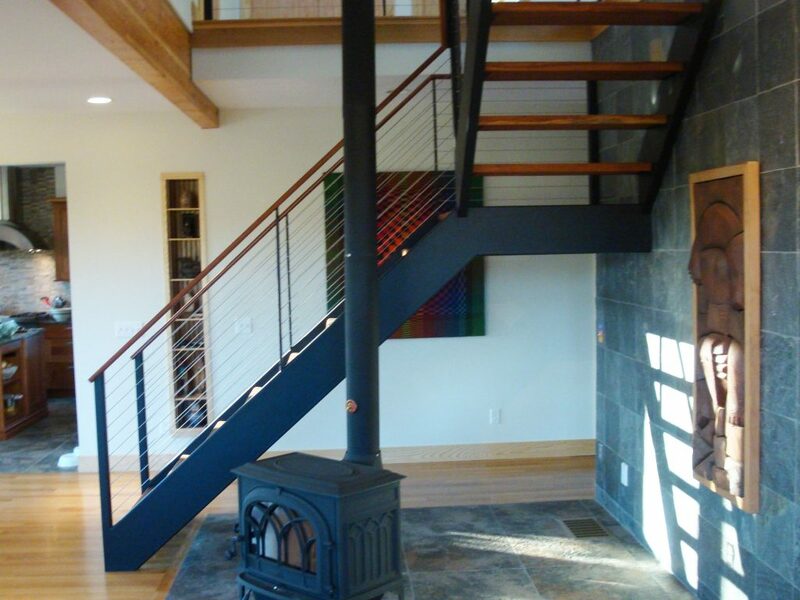 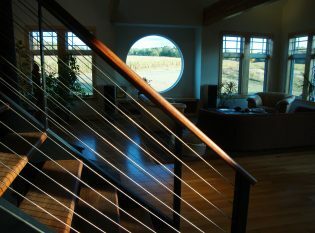 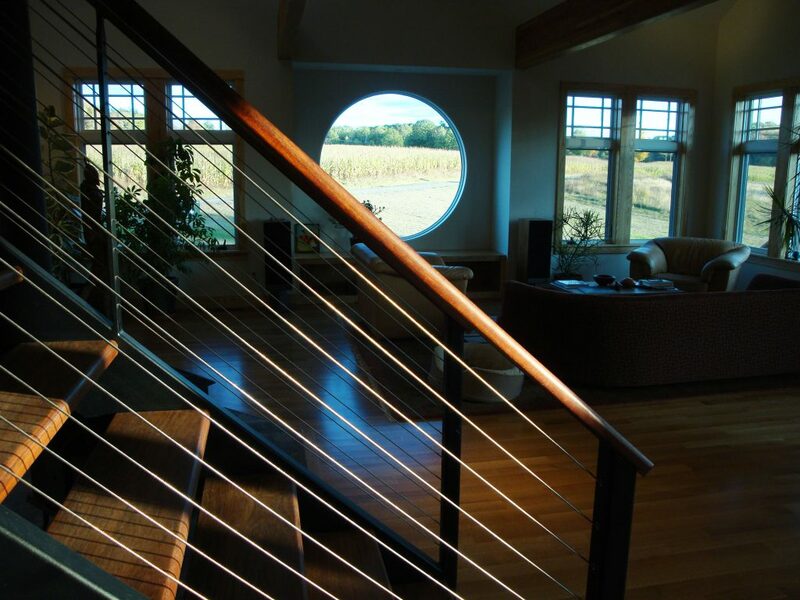 To match the staircase, we crafted an Ithaca Style cable railing system with “Raven Black” powder-coated steel posts and an IPE top rail. 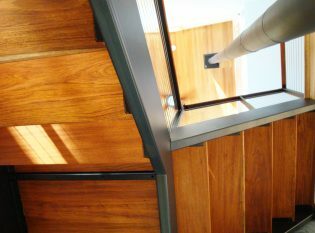 To work with the home’s vaulted ceiling that creates a triangular space where it meets the floor, we created a unique termination bracket to accept the stainless steel cables.